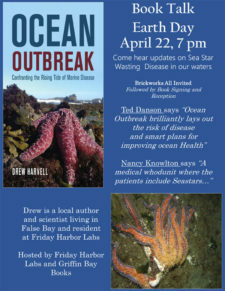 Book Talk: Drew Harvell will discuss her book, Ocean Outbreak: Confronting the Rising Tide of Marine Disease. This presentation will include updates on Sea Star Wasting Disease and salmon health in our Puget Sound waters. 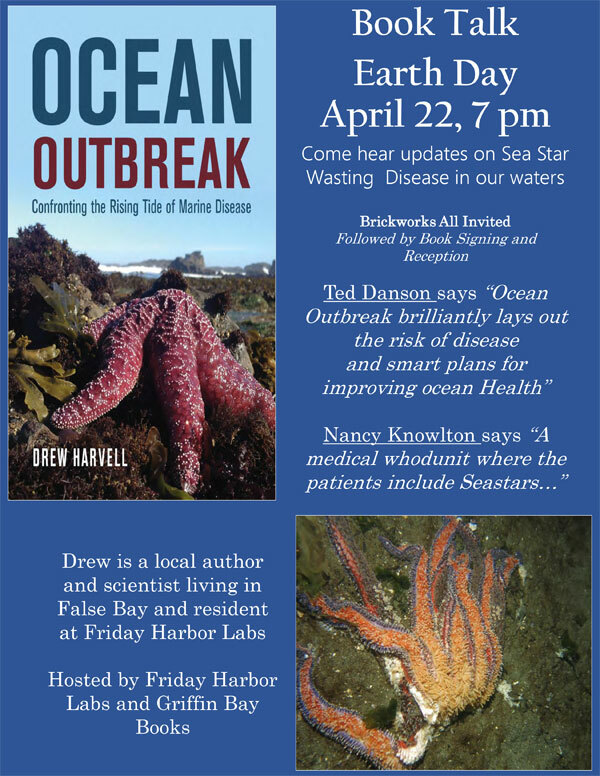 Drew is a local author and resident scientist at Friday Harbor Laboratories. A book signing and reception will follow the presentation. Earth Day, April 22 from 7:00 – 9:00 pm at Brickworks, 150 Nichols Street, Friday Harbor. Hosted by Friday Harbor Labs and Griffin Bay Books. All are invited. There is no charge for this event.